The SOTU is usually extremely long because of the applause the President is inevitability interrupted with during his message, but on the bright side we don’t have to stare at Nancy Pelosi throughout the speech. I will be liveblogging the speech here so if you do not want to watch it or just want to read my commentary be sure to check it during and after the speech. I will also likely be liveblogging Paul Ryan’s response after the President’s speech. Michelle Bachmann will be giving a Tea Party response which will be broadcast online. Chief Justice John Roberts will be there tonight but Samuel Alito will not which is not surprising considering this happened last year. Text of Obama’s speech here and according to Dana Perino of the 6,082 words only 207 relate to health care. 8:16 PM Central: Obama’s first portion of the speech is centered around Congress working together because now bills must be passed by support from both Republicans and Democrats. Is that what the November elections told him? At Oak Ridge National Laboratory, they’re using supercomputers to get a lot more power out of our nuclear facilities. With more research and incentives, we can break our dependence on oil with biofuels, and become the first country to have 1 million electric vehicles on the road by 2015. 8:31 Obama keeps referencing “winning the future” and other Newt Gingrich ideas. Several people on twitter are noticing this. 8:37 “The third step in winning the future…” more Gingrich. I can’t wait to hear what he says about this speech. 9:00 Obama praises Republicans and Democrats for passing the START Treaty. Unfortunately TN Senators Alexander and Corker BOTH voted for it. It was a terrible piece of legislation. 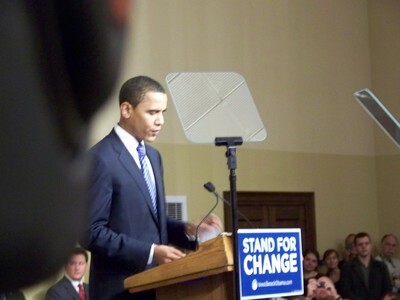 9:06 Obama mentions repeal of “Don’t Ask Don’t Tell” and the camera cuts to millitary men who sit without applauding. Democrats give standing ovation. Now let’s see what Paul Ryan has got. 9:27 Ryan is doing a good job of talking about what the President has actually done versus what he says he is going to do. 9:29 “Americans are skeptical of both political parties, and that skepticism is justified.” He goes on to say that Congress owes it to the American people to do a better job. Very interesting Ryan is focusing almost solely on the economy and jobs. This is what Americans want to hear. Millions of families have fallen on hard times not because of our ideals of free enterprise – but because our leaders failed to live up to those ideals; because of poor decisions made in Washington and Wall Street that caused a financial crisis, squandered our savings, broke our trust, and crippled our economy. Great job focusing on jobs and the economy. Also he didn’t blame just the Democrats but all of Congress. Really interested to hear what Michelle Bachmann has to say, I know it will be interesting. 9:49 In opening she says that she was invited to speak and it is not meant to compete with the official Republican response. Bachmann uses a chart that shows unemployment from the Bush presidency to the Obama presidency. Michelle Malkin points out that Bachmann practices what she preaches even though Congressman Ryan does not always do so. People seem to be up in arms over Bachmann’s response. Apparently pointing out how Obama’s agenda has hurt our economy is uncivil. who will be the GOP nominee in 2012? I’m very anxious to see what happens this November in the mid-term elections, but I’m already anxious for the 2012 elections especially the presidential election. Less than 2 years into Obama’s presidency I already feel optimistic that Republicans will take back the White House. The GOP will have to put out a great candidate because no matter how bad an incumbent is they are always hard to get out of office. Charles Krauthammer wrote a very insightful article today which acknowledged that a win for Republicans this fall could backfire in 2012. He uses the example of Bill Clinton gaining re-election in 1996 after Republicans took control of Congress in 1994. Politico also has an article today about which early GOP candidates are gaining momentum. I have not fully decided on what candidate I want to support in 2012 yet, but I will list my top 4 choices in alphabetical order. And yes Sarah Palin and Mitt Romney are not in my top 4.